Colossal shares a select gallery of some of the over twenty-five hundred miniature dioramas and landscapes that artist Tatsuya Tanaka has been furnishing on a daily basis for the past seven years. 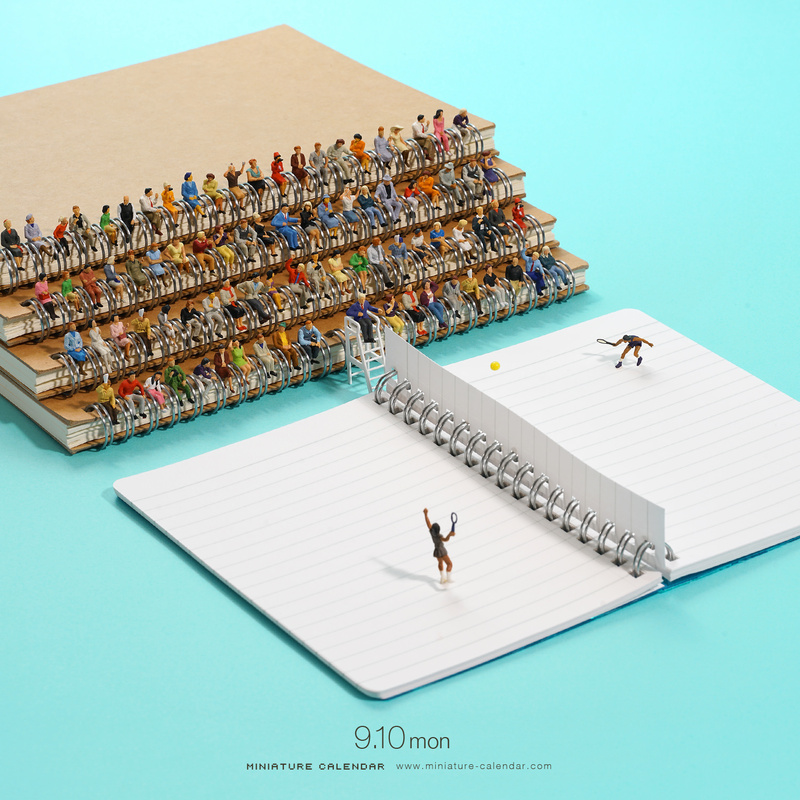 His cast of tiny figurines and a keen eye for texture, decontext-ualized from everyday objects and office supplies has attracted millions of followers and fans and periodically compiles his best work into books and calendars, which we take a leaf from here. The title refers to the vending machine capsule toys (ガチャポン) where the little model people might have come from—the term being an onomatopoeic one for the cranking sound of turning the wheel and the sound of the capsule landing in the collection tray.